Solix Enterprise Data Lake provides a fully governed central data repository to store all your structured and unstructured data at scale. 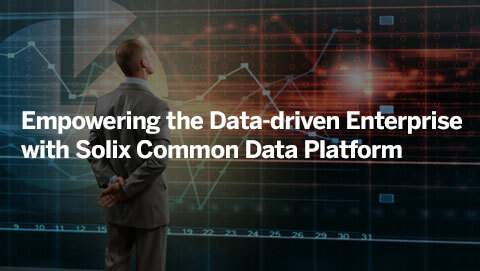 Powered by Solix Common Data Platform (CDP), it features advanced capabilities for data ingestion, metadata management, data governance and universal data access. Data can be captured and stored ‘as-is’ without having to first structure or define a schema for it. 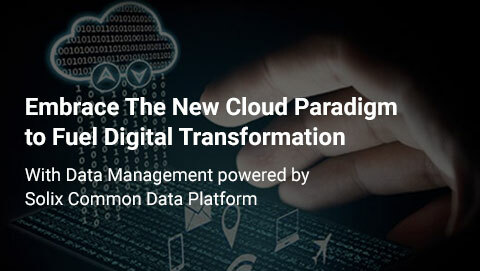 This helps avoid time-consuming and expensive ETL process at the time of data ingestion and helps with enabling schema-on-read to support the unique needs of every analytics use case your organization might have. The Solix Enterprise Data Lake employs an Information Lifecycle Management (ILM) framework to meet governance, risk and compliance objectives, and ensure that best practices for data retention and classification are deployed. ILM policies and business rules may be pre-configured to meet industry standard compliance objectives such as GDPR or custom designed to meet more specific requirements. With inbuilt connectors for many popular applications, databases, email systems and social media, Solix Data Lake offers, perhaps the most efficient way to copy data to your data lake. Additionally, the extensible connector framework allows you to add your own connectors to newer data sources. Metadata and lineage of all data is captured at the time of ingestion and automatically kept updated. This metadata is available across the data lake for enabling efficient data movement, classification, governance, discovery, and analysis. 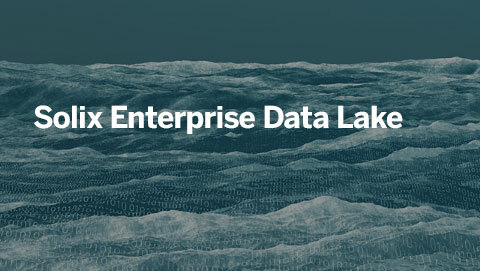 This is a key requirement to ensure your data lake does not turn into a data swamp. With the ability to configure Kerberos, LDAP, AD, and SSO, Solix Data Lake provides users with privilege-based granular role-based access at a dataset/row/column/file level. Analysts can now quickly find a data asset in the data lake based on permissions, view its metadata and visualize the data contained in it. This helps analysts find the right data assets for their analysis quickly. Analyst can use the scheduler and the CLI features to schedule and operationalize data pipelines effortlessly into production. This reduces the repeat time spent on data ingestion, cleansing, and preparation allowing analysts to spend more time on analysis. Analysts can quickly create their own dashboards using the drag-and-drop interface and the powerful yet friendly multi-engine query builder (Spark, impala, Hive). These dashboards serve the purpose of quick analysis and reporting and can be shared with other users across the organization. The single, scalable and compliant data repository based on HDFS or objects stores (S3 compliant, Blob, ADLS) offers enterprises a low cost and highly inclusive repository to store all enterprise data - structured and unstructured. Solix Data Lake features comprehensive ILM capabilities. It helps with keeping your data lake up to date with efficient, policy-based tiering, and deletion of data in the lake. Secure your critical data present in data lake with industry standard encryption, data masking or document redaction. These highly scalable and robust data security features make it easy to secure critical information present in both structured and unstructured data, while data is in motion and at rest. The drag-and-drop interface for data preparation tilts the scale in favor of analysis by greatly reducing the time for data prep. It features a full set of profiling, transformation and blending capabilities that can be applied with a click-and-drag to quickly get from raw data to analytics ready data. Analysts can virtually add data assets to multiple projects without making a copy or impacting the original data. Further, it allows analytics to virtually incorporate data from the data lake and other sources to create analytics ready data for downstream analytics removing the need for data movement. 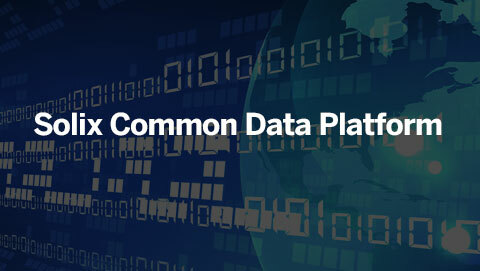 Break the barriers surrounding data usage without compromising on data security using the secure CDP API. It makes data available to third-party applications, and in-house analytic applications based on privilege, use case and time period. The Economist recently stated, “The world’s most valuable resource is no longer oil, but data.” And with today’s IoT (the Internet of Things) devices, industries are being disrupted, and simultaneously brought together with hyper-connected, ultra personalized experiences. The Solix makes the high-volume extraction and retirement of machine data simple, with these larger data sets, we are able to perform meaningful analysis and leverage existing tools to determine root cause analysis and find defects.